Whether you choose soy, almond or other milk alternatives for dietary reasons or because you love their smooth, creamy taste, there are a variety of delicious smoothies you can create with milk alternatives using your Oster® MyBlend® Pro Personal Blender. All you have to do is add the ingredients, blend directly into the insulated sport bottle and be on your way with a fresh, tasty smoothie in hand. Try making the six smoothies below that use milk alternatives in your Oster® MyBlend® Pro Personal Blender - and sip your way to smiles! This smoothie uses almond milk and a spoonful of creamy almond butter instead of peanut butter for a lightly sweet taste. Banana thickens up the smoothie and adds extra nutrients while rolled oats make this healthy treat perfect for breakfast or for whenever you need a boost. It also contains no dairy, making it perfect for those with dietary restrictions. Blend together all ingredients in your Oster® MyBlend® Pro Personal Blender until smooth. Need a mental breather from the hustle and bustle of work and busy schedules? Escape instantly with a sip of this dairy-free tropical smoothie made with coconut milk and sweet island fruits. With nutrients and a refreshing flavor, it will brighten up your day. Put some pep in your step in the morning or during a late-afternoon slump with this delicious Cocoa-Coffee Soy Smoothie, which incorporates raw cacao powder for an extra dose of antioxidants and natural sweetness. Blend together coffee, cacao powder, soy milk and ice in your Oster® MyBlend® Pro Personal Blender until smooth. Top with dark chocolate shavings before heading out the door. Add some sweet flavor to your day with this delicious smoothie. With cashew milk, yogurt, juicy raspberries and vanilla, this smoothie gives you a moment of serenity from first sip. 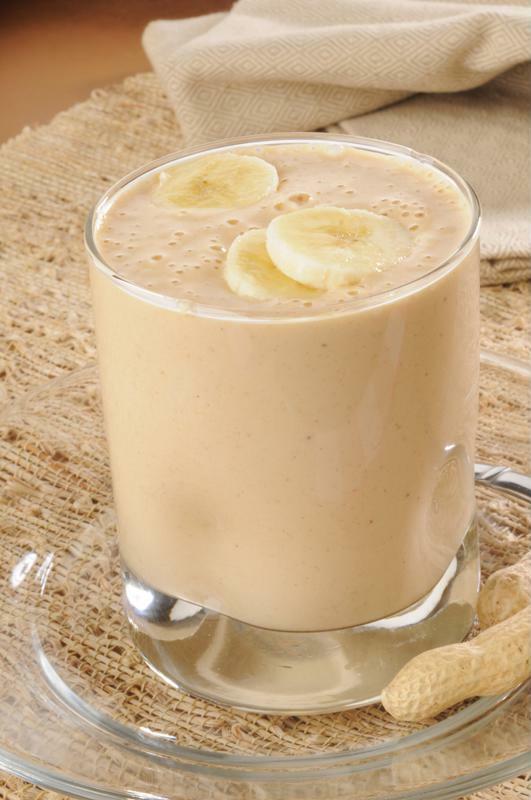 Perk up a peanut butter smoothie with soy milk and Greek yogurt. Loaded with protein thanks to peanut butter and Greek yogurt, this delicious smoothie will stave off hunger and fuel your active lifestyle while tasting great. Get a nutrient boost with this dairy-free smoothie, which features a delicious blend of vitamin-rich berries. Enjoy this berry burst for breakfast or as a sweet snack.